Dancin’ In The Streets? | Hey Chelito! 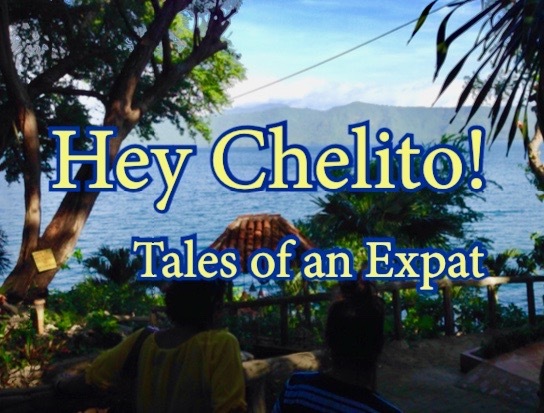 Posted on July 9, 2017 By Erik @ Hey Chelito! In León, street vendors sell everything from fresh fruit to used clothing to freshly cooked tortillas on the streets and sidewalks. When I first started coming to Nicaragua, I thought, “how convenient”. Even when I first moved to León, I enjoyed walking to the end of the block to buy fresh fruit. Last week I bought six luscious mangoes for C$20 (about $0.65). A dozen bananas run about the same. Hawaiian pineapples, with the perfect balance of sweet and acid, set me back C$25 (about $0.80). A dozen kinds of fruits and vegetables that I’ve never seen before coming to Nicaragua are also dirt cheap. All organic, all fresh, and ready to eat. No need to wait for fruit to ripen. In fact, if I don’t eat the fruit by the next day, it usually so over ripe that it ends up in a smoothie. So I try to buy what I’m going to eat that day and nothing more. It is funny how things change. How my perspective has changed. Normally, I wouldn’t give sidewalks a second thought. It’s only been a few months and this “convenience” has begun to irritate me. I am not annoyed by the convenience per se, but by the inability to get anywhere without having to dodge a crowd or the erratic traffic on the streets. Vendors use most, if not all of the sidewalk to show their products or prepare food. In addition, some food vendors also set up tables and chairs so the customers can eat as if dining in restaurant. This makes maneuvering around a crowded downtown precarious, especially with blazing hot cooking equipment and sizzling oil. With virtually no aisle way, the sidewalks have been reduced to the equivalent of irritating road construction where cars can only pass in one direction at a time. Not having the patience to wait, many folks, including myself, opt for the “dangerous dance in the street”. Most of the streets in León are one-way with two lanes, with park cars and pedestrians using the right lane. It isn’t the best first impression for new tourists to the area. Many of the vendors leave their trash and food waste on the sidewalks and streets. It’s nasty, unsightly, and stinks if left in the heat to ferment. Walking the busy streets is dangerous enough without having to dodge banana peels and mango pits. In downtown León, a new market opened in December 2016. Many of the vendors that had peddled their wares near the cathedral now have a brand new building with individual stalls to operate. It reminds me of the massive farmer’s market back home. Almost everything you need can be purchased here. Fresh fruits and vegetables. Rice, beans, and other grains. Pasta, oils, sauces, fish, meats, breads, soaps, paper goods, prepared foods etc. are also available, saving me a trip to the conventional supermarkets only for specialty items. Prior to the opening of the new market, the streets and malls surrounding the León Cathedral were packed with vendors. They set up shop on the steps of a UNESCO World Heritage Site. These small vendors were clogging the main arteries in downtown León where tens of thousands of locals and tourists passed through everyday. You had to crawl over and through crowds of shoppers and visitors alike, just to get to the Cathedral’s entryways. This new central market was a major step for city. It cleared the streets and malls. Most of the food vendors selling “fritangas” were moved to central location on the outskirts of downtown. These stalls I miss, for the atmosphere, mostly. Many of them only operated in the evening for a few hours a day. It was like a big backyard barbecue. But now, other vendors have slowly moved into the vacant space and the problem is creeping in all over again. I love the new market. I don’t like messing with someone’s right to earn a living. But, there has to be a better way of dealing with this issue. Do I have a valid point, or I am just being critical? In your experience, how have other cities handled this matter? local gov.could ‘regulate’ as we do where I live (EEUU) that would certainly thin the crowd, control traffic and safety, all things Central America isn’t exactly known for ha! My guess is it continues on it’s disorganized haphazard shady ways until there is a significant change in gov. structure or better known as mmm Nevuary . I’m trying to be realistic about the interest the city gov. would have in this situation. This is the ‘charm’ they speak of? It does have a sense of charm, but I think there should be more precise and more enforced restrictions on where they can operate. That’s fantastic that Leon finally got a new, formal market. It must be so much nicer to visit the Cathedral now. I used to live in Somoto up north when there was no market except the sidewalks and it was terrible. A sister city in Spain finally built a formal market for Somoto in 2007 which is much more hygienic. Now that I live in Granada, I can see that this city must move in the same direction. There is an over-crowded market here in a beautiful old building right in the historic center. It is filthy and super annoying to walk around there with my son when we inevitably have to step out into the street to navigate the sidewalk stalls. Leon gives me hope! They have been talking about doing something with Granada’s vendors near the cathedral for years. Nothing seems to change. It’s funny how things can be so different in various cities in Nicaragua. Old doesn’t have to mean dirty. León is a dirty city, but I love it. You can eat off the street in cities like Jinotega. The convenience of street vendors loses its charm when it becomes overwhelming and dangerous. This morning in La Prensa there was article about another pedestrian that was fatally wounded near Iglesia Calvario here in León. So sad. Presumably, the pedestrian was fatally wounded by a motor vehicle. I believe the vendors are a red herring here. Most people in León don’t have personal motor vehicles, including people with limited mobility. Get the motor vehicles out of downtown and the streets will be safer for everyone. Pingback: These Damn Sidewalks! | Hey Chelito!